and intoxicating gardens. 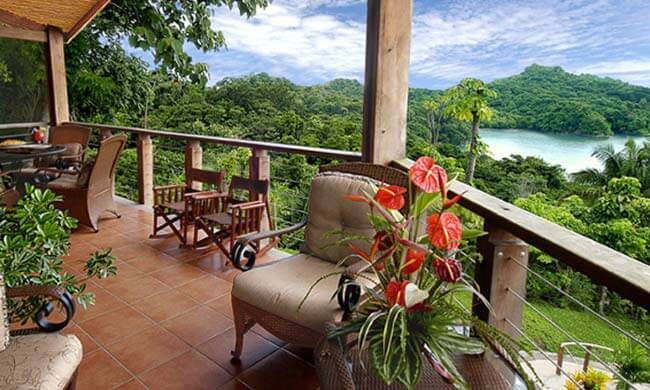 Imagine hiking 2 miles of nature trails that take you by crystalline cascades, stunning lookout points and through dense jungle growth. Imagine walking only 800 meters from your bungalow to your own secluded beach. 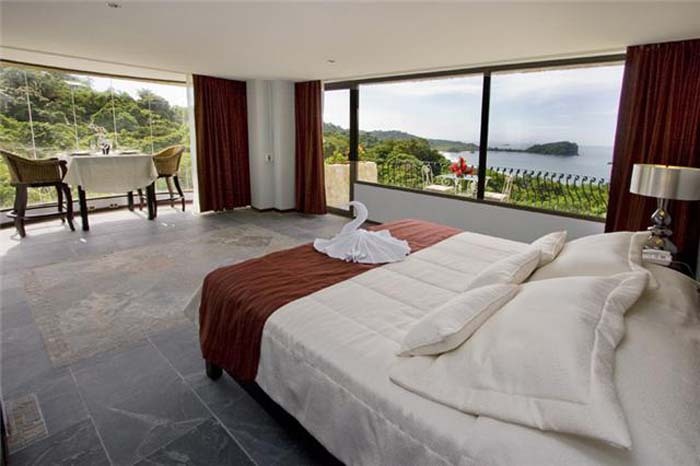 Imagine interacting with the best of Manuel Antonio’s wildlife from your doorstep or by just drawing the curtains of your bungalow window. Imagine reclining by the pool sipping a tropical cocktail concocted especially for you and watching that great golden ball slip languidly into the horizon. It’s located in a protected bay allowing you to take advantage of the various water activities that Tulemar offers without having to worry about dangerous undertows or riptides. 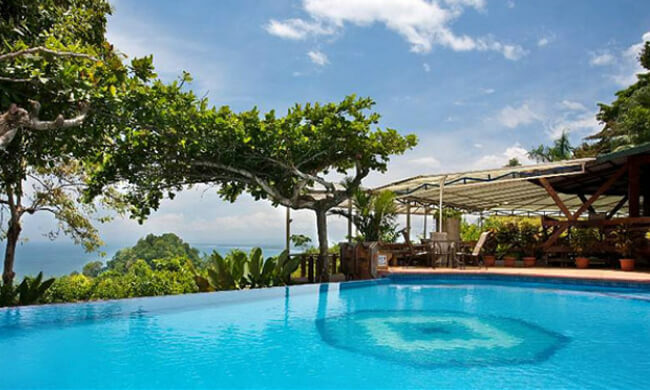 As a guest of Tulemar, kayaks and snorkeling equipment are for your exclusive use. Some of the guest’s most favorite excursion was kayaking, with their snorkeling gear in tow, over to the beach across the bay to enjoy some of the best snorkeling in the area. Don’t worry about a wet-suit, the Pacific waters are warm year- round.Tulemar’s Turtle Trap beach bar ensures that you don’t have to go far to order your favorite cocktail or satisfy the rumbling in your stomach while you relax at the beach. Tulemar’s spacious 645 sq. foot bungalows provide all the luxurious comforts of home; only, perhaps, with a better view! The rooms are equipped with a kitchenette, living room with two sofa-beds, an air-conditioned master bedroom with two queen size beds, television and VCR–ideal for your family or just for the two of you. 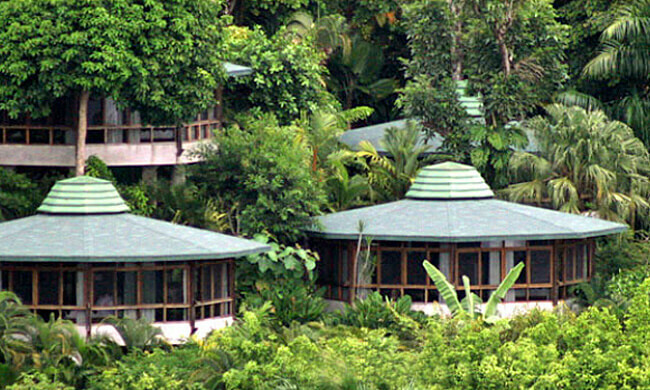 The octagonal design of the bungalows was created so that you have a view from every room in the bungalow.